Rochester could soon have an officially designated location where homeless people could set up an encampment. 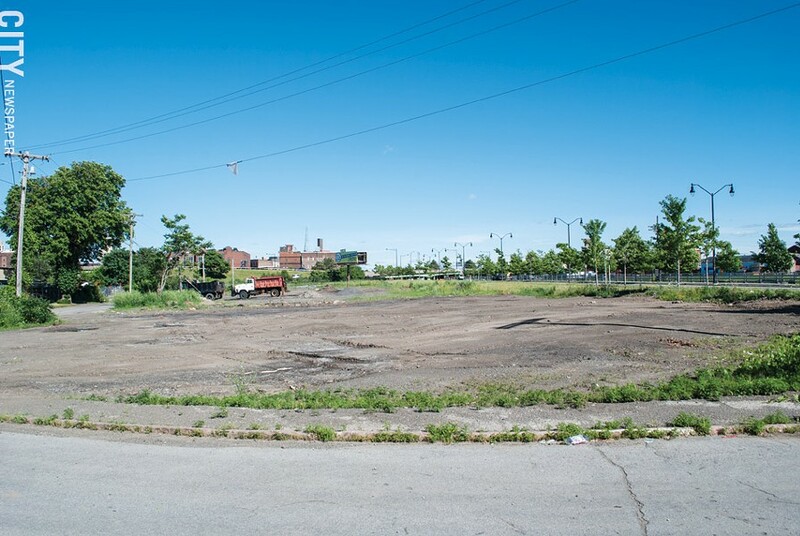 City of Rochester officials are in talks with local homeless advocates to designate a parcel of land on Industrial Street, near West Broad, as an encampment site, and would turn over control of the property to a community organization. The city does not intend to own or operate the site, said city spokesperson Jessica Alaimo. Once there's an agreement, the tent city on South Avenue will be relocated to the Industrial Street site. The encampment is on land owned by Spectrum, which made an attempt to clear the tents back in April. Spectrum called 911 and made a trespassing complaint and police officers responded; a separate work crew called in by Spectrum also showed up and made a brief attempt to dismantle a tent. Housing rights and homeless activists more or less blocked the eviction attempt. The City of Rochester could turn over a parcel of land on Industrial Street, near West Broad, to a community organization to operate as an encampment site for homeless people. Spectrum hasn't made any further attempts to clear the encampment. It was that attempt, and the recent public attention the South Avenue tent city has received, that sparked what's happening now, said Mercedes Phelan, Community Organizer with Citizen Action of New York. Phelan has been organizing with the people living in tent city for the last few months, and she was arrested during the April incident. "They've been up there for two years, living alone," Phelan said. "They don't bother anybody. They haven't caused any problems. Society really needs to change how they view homelessness. And honestly, they're not homeless because they have homes: their tents." City officials and advocates for the homeless have to make a decision about who will take control of the property from the city. And a structure for operating the settlement hasn't been arrived at yet. "The biggest thing is making sure that the people who live there are the ones who get a say in things," Phelan says. 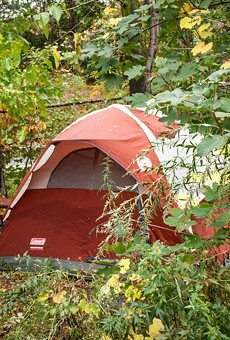 The number of people living in the South Avenue tent city is fluid and ranges from half a dozen to around 20, Phelan said. Just before Christmas 2014, the city bulldozed the Sanctuary Village tent city, drawing widespread criticism and scorn. In the process, the crews destroyed personal items belonging to more than 30 people. The city claimed Sanctuary Village posed a lot of health hazards, but social workers and activists disputed those statements. As housing crises hit cities, more local governments are permitting encampments. Seattle, for example, has allowed 11 camps to become permanent over the course of the last decade. "How we look at housing needs to change," Phelan said. "We have this idea of the American dream, where you have a house, picket fence, all of that. But that's not everybody's reality. Some people prefer to be outside for whatever their reasons are."